Click here for more 43.1 featured content. Garnett Kilberg Cohen has published three collections of short stories, most recently Swarm to Glory (2014). Her fiction has won the Crazyhorse National Fiction Prize, the Lawrence Foundation Prize from Michigan Quarterly Review, and a Special Mention from the Pushcart. 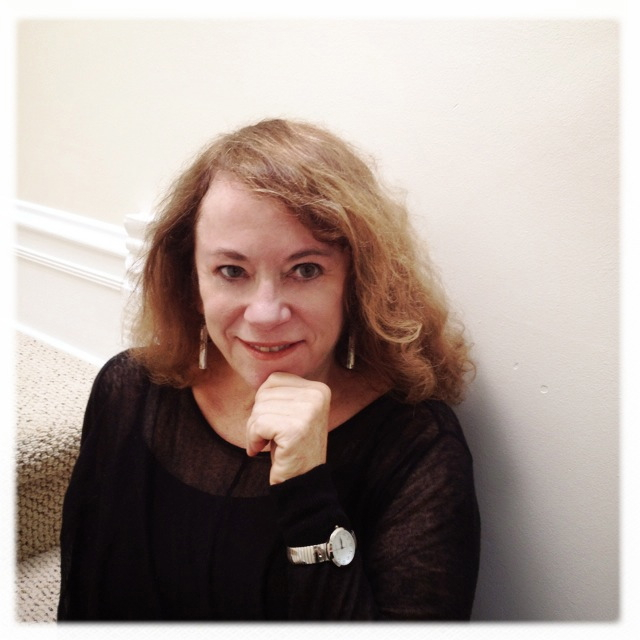 Her nonfiction has appeared in many journals, including The Gettysburg Review, Brevity, The Rumpus, and twice received Notable Essay Citations from Best American Essays (2011 and 2015). She is at work on a collection of essays. A professor at Columbia College Chicago, Garnett is the editor of Punctuate, a nonfiction journal. When mother ate the flowers, they call to tell you, mother ate the flowers. Your mother ate some flowers, they say. What kind, you ask, more to be polite, conversational, than out of curiosity. What kind of flowers did mother eat? You hold the phone. You say the words. You hear yourself speak. It is your voice. Lilies, they say. You wish you hadn’t asked because now you picture mother eating specific flowers, white lilies–stargazers–her upper lip peeled back to reveal front teeth biting into the petals, white petals. Soft petals, Mother’s teeth are greenish now. Her teeth leave bite marks, little ridges. You see them climb up a lush petal, like ties on a track. Mother smiles as she bites into more velvety petals. Oh my, her eyes say, oh my. Look at this feast. What luck! Mother has an appetite. Despite her petite frame, mother has always had an appetite. Mother chews. You see mother greedily chewing. Her hands clasp the lilies, holding them to her lips, hungrily shoving them into her mouth, petals spilling between her fingers. You wonder, what does mother think she is eating? Does mother think at all? You wait for the speaker to speak again. You hope this will not involve a trip to the ER. Later, much later, in your sleep you dream of Diego’s “Girl with Lilies.” But mother’s lilies are smaller, mother is smaller, smaller than the girl in the painting, the girl with the wide behind; mother is wizened, under 100 pounds. You see mother drawing the lilies to her lips from a distance, like the girl in the painting, only you see mother from the front, not from behind. Mother’s nose peaks above the lilies. A river of lilies that mother scoops to her lips. Mother grew a white garden once, all white flowers, called a moon garden you learned later, much later, but long before this moment as the phone grows heavy in your hand. You learned moon gardens were cultivated to glow under the moon. Lunar lilies. You never asked mother if she ventured out at night, in the moonlight, to see her white flowers illuminated in the dark by the moon in the house where they lived next to the river. Too late now. Too late to ask. Though you cannot ask, you can envision her in a white night gown, barefoot in the dewy grass, walking toward the garden. Why did you call? You want to say. But you know why they call; they always call you. Mother has a bruise. Mother has a tiny cut. You are the one they call. Mother. Moon. Mums. Mother didn’t like mums. Or was that someone else? Her mother, Big Granny? She didn’t like red geraniums. Too Gaudy. Like bright red lipstick. Mother wore pale lipstick. Now she doesn’t wear lipstick at all. She does not leave stains on the white petals as she eats. You wait, at a loss for another question. Let them tell you. They tell you, we called poison control and it is all right. Lilies are not poisonous. Good, you think, no ER. Do you say it aloud? You hope not. You don’t want them to think you are too lazy for another night trip to the ER. We will monitor her through the night. You don’t tell them to call or not to call if anything changes. You know they will call. You want to say I am the daughter, not the mother. Why do you keep calling me? Thank you, you say. Tears leak from your eyes. Though you know you will tell this as a funny anecdote later, you cannot find the humor now. Tears stream, but you are not crying. You never cry. Sometimes your eyes well, tears run down your face but you never cry, not retching sobs, not what you think of as crying. Mother, the old mother, your former mother, did not like crying, shows of emotion. You wonder, should you accuse the callers? Ask them how she was left alone long enough to eat some flowers? Is that what other daughters do? What is the protocol? Should you threaten to sue? Should you offer to pay for the flowers? Had another daughter sent them to her mother? See you on Thanksgiving, you say into the phone, wanting them to know that you will be there, that you are a good daughter. All night when you dream of mother eating flowers, you will think of the powder that the ginger-colored stamens sticking from lily throats produce, how the powder must have flaked off around mother’s lips, like cinnamon. Oh my. What a mess, mother thinks. Or the old mother, the mother who could think, might have thought. In the morning, after the dreams, you wonder if you pictured it all correctly. Perhaps she ate day lilies, which are orange, or lilies of the valley, which are like tiny frilly lanterns. No. Lilies of the valley would tickle her tongue; she would spit them out. Day lilies clamp shut at night; it was night when they called. Mother had divine tastes, she would want white lilies. Stargazers. You know that’s what she ate. They smell divine. You look up lilies online, thinking you will find meaningful information about lilies and death. You find on Lilipedia (yes, there is such a site) that the fleur-de-lis is the symbol of innocence and purity, formed from the tears of Eve when she was dismissed from the garden. They are also a symbol of the Virgin Mary. Mother’s name is Mary. Your own middle name is Mary. You read, “Lilies were associated with death as well, signifying that in death, one regained one’s lost innocence and purity.” Yes, you think, mother is innocent again–as she never was when you and she knew one another–but not dead. Mother Mary lives. Lives and lives. Mother has had Alzheimer’s for many years, so many that you had promised yourself you will not write about it again, not write about her again, maybe when she dies, maybe then. But here you are, writing about her. Consider the lilies, Emily Dickinson said. (You know this from Lilipedia, not from you own memory.) You delve deeper and find this come from a Biblical quotation, the only commandment Dickinson said she ever obeyed. You think of mother considering the lilies before opening her lips. In France, which claimed the fleur-de-lis as its emblem, people are shot down just a week before you receive this call, a week before mother eats the flowers. You watch the reports on television. Over and over, you see the images of the streets of Paris strewn with flowers. The cobblestone streets are still blanketed in bouquets when they call to tell you mother ate the flowers. When people die, flowers are placed on graves, people send flowers. You send flowers. Who will be left to send flowers when mother dies? Mother told you, years ago, after she and your father–now almost ten years dead–sat atop a mayan pyramid watching the sun rise (or was it setting?) that she had thought that falling from the perch would be a good way to die. Mother did not like sentimentality; she did like romance. But mother does not die. Mother lives and lives. You wonder, fleetingly, if they will kick her out of hospice, as they booted Eve from the garden, for living, for not dying. You imagine that they, the people who call you, must all talk about how she ate the flowers and lived. Maybe they even arrived in time to see her take the last bite, pat her lips with a cloth napkin. Mary ate some flowers, they say to each other. Maybe they think she is magical, the way she lives and lives. That’s how you picture the scene now, will always see it, if you continue to see, if you continue to think, to remember: all the people who call you standing around mother in awe, all of them marveling at her survival, watching mother daintily dab her lips after a meal of lilies served on an imaginary silver platter. To read Garnett Kilberg Cohen’s work and more, pick up a copy of 43.1 or order a subscription from our online store.